Nails on a chalkboard. Grinding teeth. All the cringe-worthy sounds in the world can't hold a candle to the screech of a smoke detector that sounds for no apparent reason. Has your smoke detector gone rogue? The sound of the alarm is designed to catch your attention, but if it's happening when there's no actual emergency, this can be both frightening and frustrating. The good news is you don't have to go on living this way. 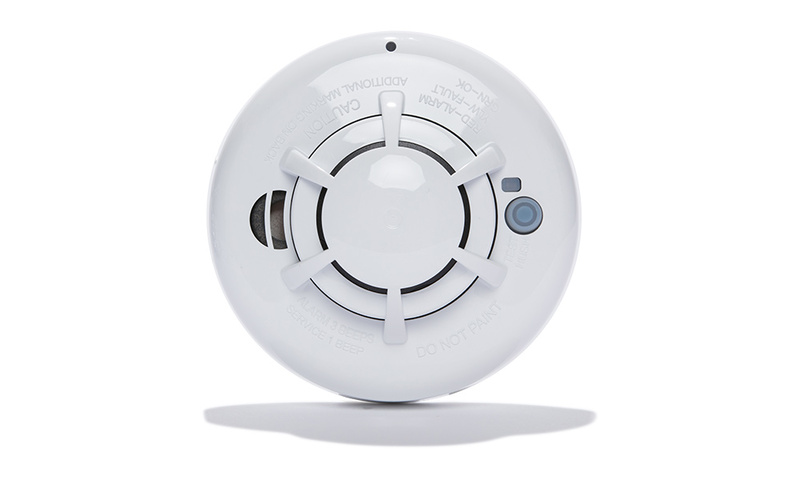 A smart smoke detector provides reliable protection for you and your family in the event of a fire. Before we begin, it's helpful to know how smoke detectors work so you can determine what may be the cause of the false alarms in your home. There are two primary types of smoke alarms: photoelectric and ionization. Photoelectric smoke detection uses a steady beam of light. Once smoke particles enter the internal chamber of the device, the particles scatter the beam and redirect it to a photocell, which then triggers the alarm. When it comes to smoke alarms, there are two main types: photoelectric and ionization. Ionization smoke detection employs the use of ions and electrons that whizz around electrodes. When smoke enters the ionization chamber, it sticks to the ions, which disrupts the chemistry and activates the alarm. Both types of smoke detection will activate when smoke enters the chamber; however, both are susceptible to malfunctions. Such malfunctions can be a result of poor manufacturing, smoke detector sensitivity, or external factors that can disrupt the performance of the device and trigger false alarms. What can cause smoke alarms to go off repeatedly? Here are seven of the most common causes of smoke alarm malfunction. It doesn't take a lot of smoke to trigger the alarm. If your smoke detector is within 10 feet of a cooking appliance such as your stove, toaster, or toaster oven, then this may be the cause of your false alarms. Some of the more high-tech photoelectric smoke detection devices (i.e. the Vivint Smoke Detector) are even capable of detecting a sudden rise in temperature. Installing your smoke detectors beside a window or door is also a common culprit in causing nuisance alarms. The draft can interfere with the performance of the sensors, even causing the illusion of smoke with particles that have drifted in from outside. 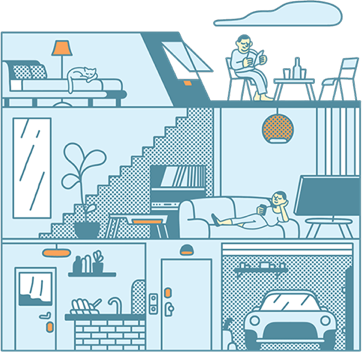 A photoelectric smoke device like Vivint's CO Detector will provide the best protection for your family. Does your smoke detector taunt you every time you slightly overcook your food? This could be a problem that has to do with your smoke detector sensitivity. If your alarm is installed more than 10 feet away from your cooking appliance, but it still sounds every time you crisp your toast, you may want to test and adjust the sensitivity of your alarm. See how to adjust the sensitivity. High humidity carries dense moisture particles that your smoke detector may confuse for smoke particles. In extreme cases, the air is dense enough to scatter the light beam of a photoelectric sensor or cling onto the ions in an ionization chamber. The same concept applies to steam. So, if your smoke detector sits right outside a steamy bathroom, you may want to move it to a different location. 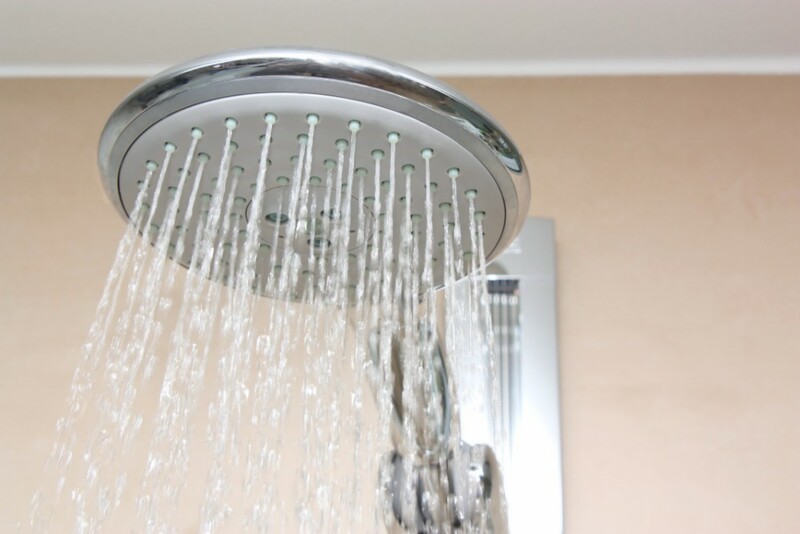 Is your smoke detector right outside a steamy bathroom? If so, you may need to move it to prevent false alarms. Take a look at your smoke detector. Do you see the chamber entrances where smoke can enter? They’re just big enough to fit a small insect. Once inside, insects can set off the alarm by interfering with the sensors. You may want to open up your smoke detector to see if there’s a pesky nuisance crawling around inside. A buildup of dust can also affect your smoke alarm For this reason, experts recommend cleaning your smoke detectors with a vacuum brush attachment at least once a year–if not more. Smoke detectors are also sensitive to particles in the air that are released by strong-smelling chemicals. If you’re remodeling your home, deep cleaning, or using strong chemicals for another reason, this may be a cause of your false alarms. Is your smoke alarm emitting a harsh, prolonged scream or a repetitive high-pitch beep? If your smoke detector is beeping, it’s informing you that the batteries need to be changed. Unless you’ve chosen an alarm that runs on a lifelong battery, you’ll need to replace the batteries at least once a year. Related Article: How Do Smoke Detectors Work? Hopefully, you were able to discern the cause of your false alarms from the list above. But if you’ve determined that your alarm is going off due to a problem with the smoke detector sensitivity, here's how to adjust it safely and effectively. 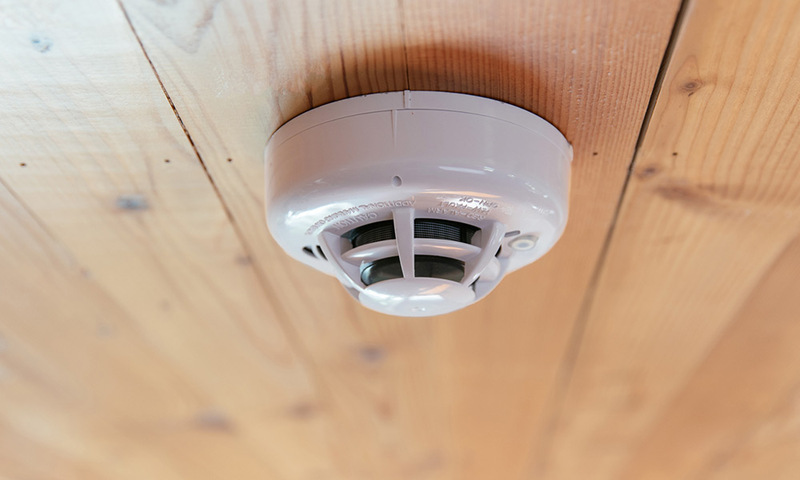 As annoying as an overly-sensitive smoke detector may be, it's still a key part of your home’s security. You may be tempted to take it out or turn it off, but before you do, try modifying the sensitivity. The experts at the National Fire Protection Association suggest testing the sensitivity of your smoke alarms every other year after the first test. A truly dependable detector with consistent readings can go longer (up to five years) without needing another test. Buy some calibrated smoke detector test spray. Follow the instructions included with the product to ensure proper testing and accurate results. If your alarm came with a testing instrument issued by the manufacturer, you can use this to conduct your test. Follow the instructions in the manual that came with your device. 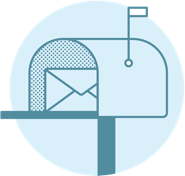 If you no longer have access to the manual, you may be able to find the information online. Enlist the help of a professional technician to perform a test with the help of fire alarm control equipment. If you want to test your smoke detector's sensitivity, check out any instructions you have from the manufacturer. Adjusting the sensitivity of a smoke detector should be done with caution. The last thing you want is to inhibit the detector’s ability to detect traces of smoke. For this reason, try these first two suggestions before moving onto the third. Relocate the device to put more distance between it and your cooking appliances or a steamy bathroom. Carefully remove the smoke alarm, open it up, and gently clean the inside with a soft, dry cloth. Reattach the alarm and vacuum the chambers with the brush attachment on your vacuum. If you have a programmable smoke detector, follow the instructions provided by the manufacturer to adjust the smoke detector sensitivity. This usually involves the removal of the data card and some simple modifications. Often, the best option is to upgrade your smoke detection system. It's common for older smoke alarms to weaken and malfunction over time. The best way to stop abrupt false alarms without impairing the security of your home is to replace your old detectors with new models. 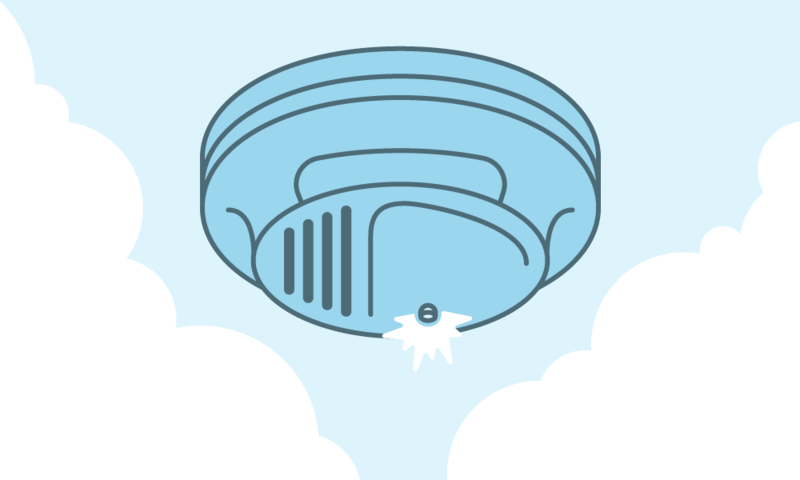 You can even take the opportunity to level-up your smoke detectors. Smart smoke detectors from Vivint Smart Home, for example, work flawlessly even when the power goes out. These detectors communicate directly with your smart home system, notifying you on your smartphone when battery power is low or if there's been a spike in the temperature of your home. 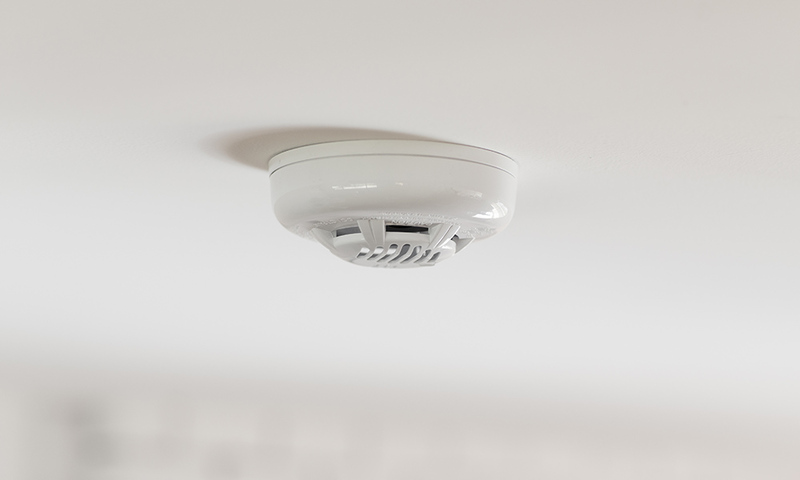 Plus, with a photoelectric sensor and a detection radius of 35 feet, you can count on Vivint smoke detectors to keep your home safe. And in case of a fire, your alarms will sound inside your home and your Vivint system will alert our 24/7 monitoring specialists immediately. Next, your smart thermostat will cut off air flow to slow the spread of the fire and your smart locks will unlock automatically so you can evacuate and allow emergency personnel access to your home. If you're not home, you'll get an alert on your smartphone that the smoke detector went off and our monitoring specialists will contact you right away, and contact the fire department if necessary. 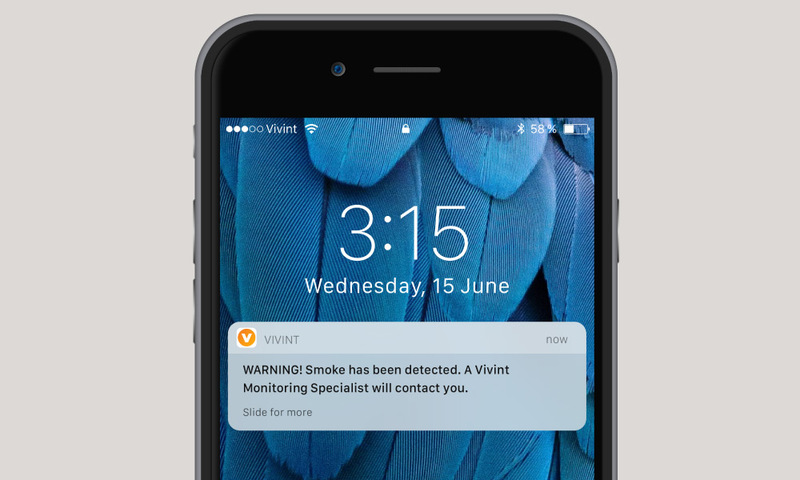 If your smoke alarm does go off, you'll receive an instant notification via the Vivint Smart Home app. When smoke alarms are integrated with an entire smart home system, you'll enjoy peace of mind–whether you’re away on a business trip or playing with the kids in the backyard. 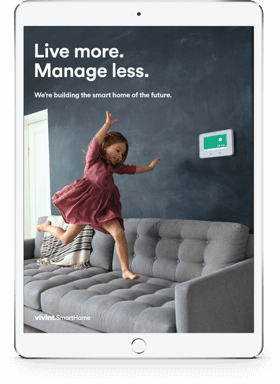 Ready to install a Vivint security system in your home? Call us at 800.646.1469 today for a free quote.